and threatened to have me for lunch. Dennis J. Bernstein is a contributing editor with the San Francisco-based Pacific News Service, and the host/producer of "Flashpoints," a daily radio news magazine heard on Pacifica radio. His artist books, co-authored with Warren Lehrer, are in the Special Books Collections of the Museum of Modern Art in New York City and other major museums around the world. 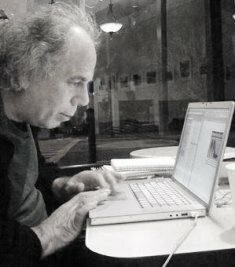 A human rights journalist for thirty years, Dennis had the privilege to study with noted poet Muriel Rukeyser and initially founded the Muriel Rukeyser Center for the Arts in Park Slope, Brooklyn, as well as the reading series, "On the Air," which ran on WBAI Radio in New York City. His essays and poems have appeared in many major newspapers, journals, and anthologies.